Bring a large pot of water to a boil and cook the lasagna noodles to al dente according to the instructions on the package. After pasta has cooked, place into a large bowl of cold water. Set aside. In a large skillet over medium-high heat, brown and crumble/break apart sausage and ground beef with a spatula or wooden spoon. Once meat has cooked through, add onion and garlic. Cook until onion has softened, about 5 minutes. Stir in the diced tomatoes. Remove skillet from heat and set aside. Preheat oven to 375 degrees and lightly grease a 9x13-inch oven-safe casserole dish. Set aside. In a medium bowl, stir together marinara sauce, dried oregano, dried basil, crushed red pepper flakes, salt, and pepper. In a small bowl, whisk together ricotta and egg. Set aside. To assemble your lasagna, remove the lasagna noodles from the water and pat them dry. 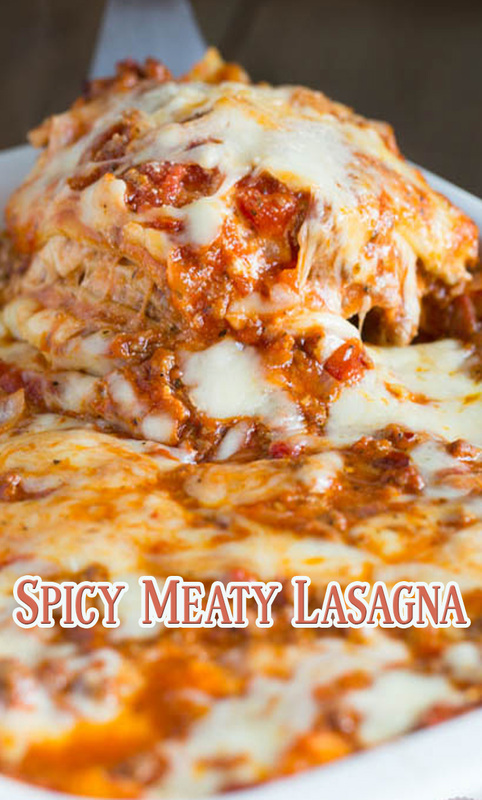 In the bottom of the casserole dish, add a thin layer of marinara sauce then place 3 lasagna noodles on top. Spread a little bit of the ricotta evenly on the noodles then add a layer of marina sauce and fianlly add a layer of the meat mixture on top. Sprinkle 1/3 of the mozzarella cheese on top of the meat mixture. Repeat the layers 2 more times, ending with the cheese layer sprinkled on top. Lightly spray the bottom side of the foil and cover casserole tightly with foil. Bake for 25 minutes then remove foil and bake for another 10 minutes.